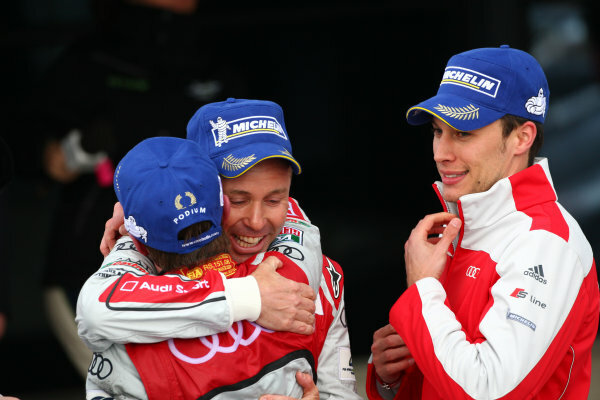 2013 FIA WEC Championship,<br /> Silverstone, Northamptonshire. 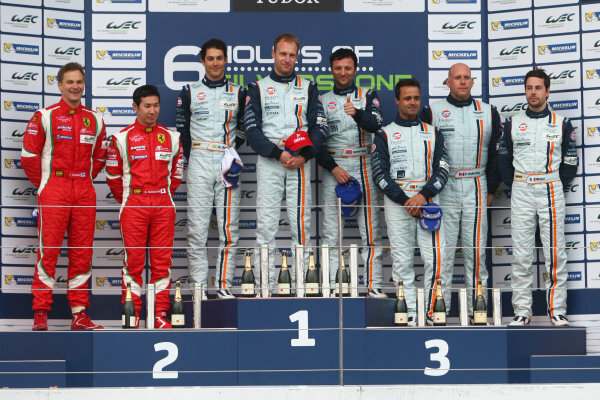 12th - 14th April 2013.<br /> GT Pro Podium, Gianmaria Bruni / Giancarlo Fisichella AF Corse Ferrari 458 Italia, Darren Turner / Stefan Mucke / Bruno Senna Aston Martin Racing Aston Martin Vantage V8 and Paul Dalla Anna / Frederic Makowiecki / Pedro Lamy Aston Martin Racing Aston Martin Vantage V8<br /> World Copyright: Ebrey / LAT Photographic. 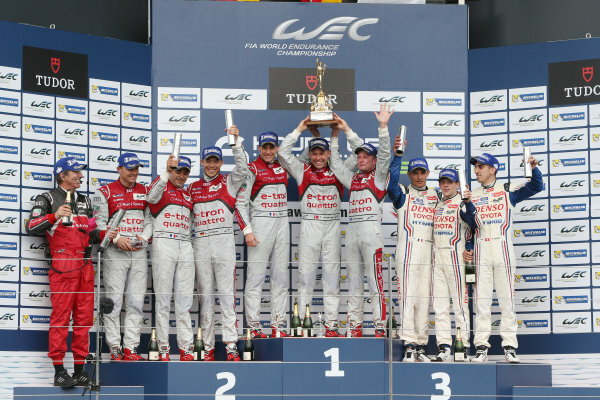 2013 FIA WEC Championship,<br /> Silverstone, Northamptonshire. 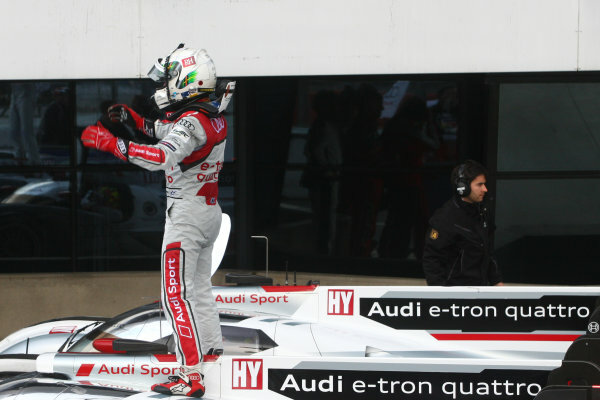 12th - 14th April 2013.<br /> Tom Kristensen / Loic Duval / Allan McNish Audi R18 e-tron quattro celebrate the win on the podium<br /> World Copyright: Ebrey / LAT Photographic. 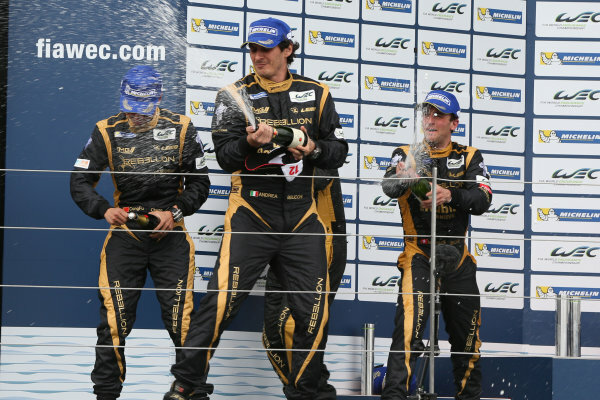 2013 FIA WEC Championship,<br /> Silverstone, Northamptonshire. 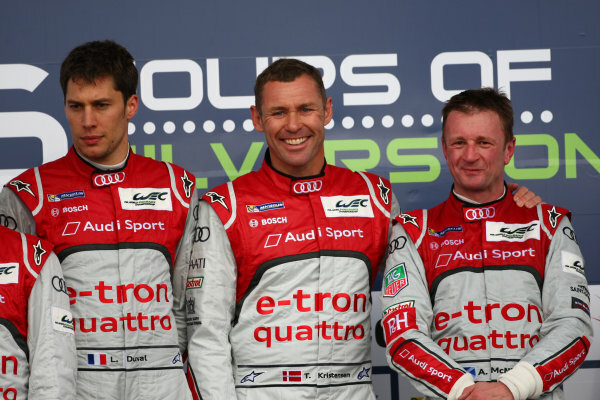 12th - 14th April 2013.<br /> Tom Kristensen / Loic Duval / Allan McNish Audi R18 e-tron quattro<br /> World Copyright: Ebrey / LAT Photographic. 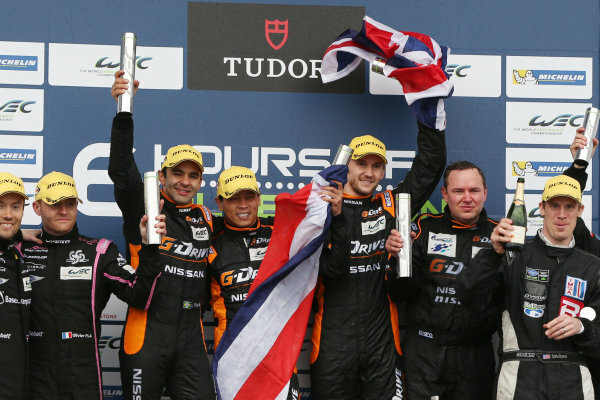 2013 FIA WEC Championship,<br /> Silverstone, Northamptonshire. 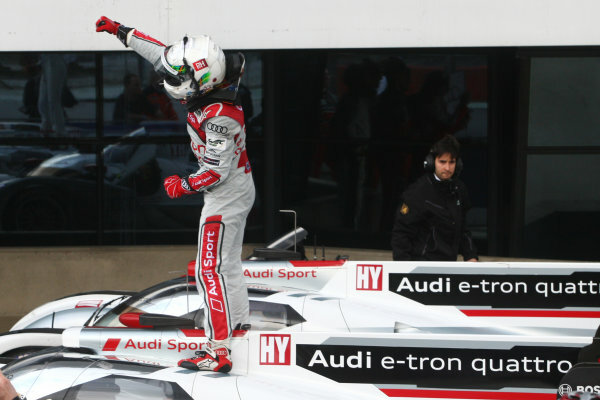 12th - 14th April 2013.<br /> Allan McNish Audi R18 e-tron quattro celebrates the win<br /> World Copyright: Ebrey / LAT Photographic. 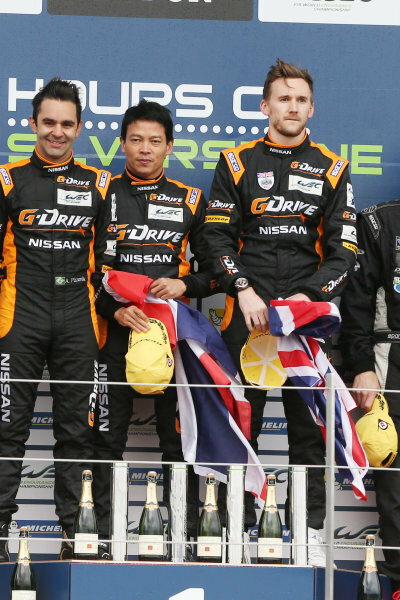 2013 FIA WEC Championship,<br /> Silverstone, Northamptonshire. 12th - 14th April 2013<br /> . 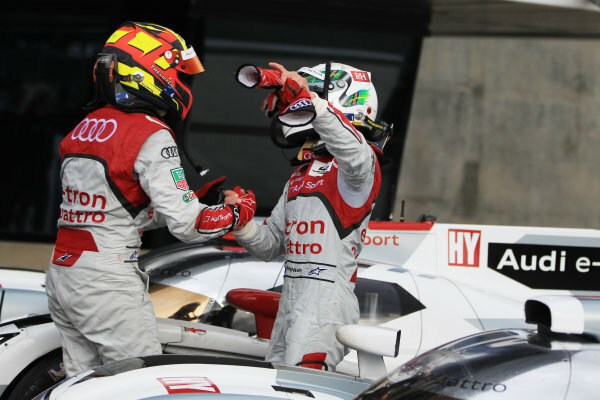 Benoit Treluyer and Allan McNish Audi R18 e-tron quattro<br /> World Copyright: Ebrey / LAT Photographic. 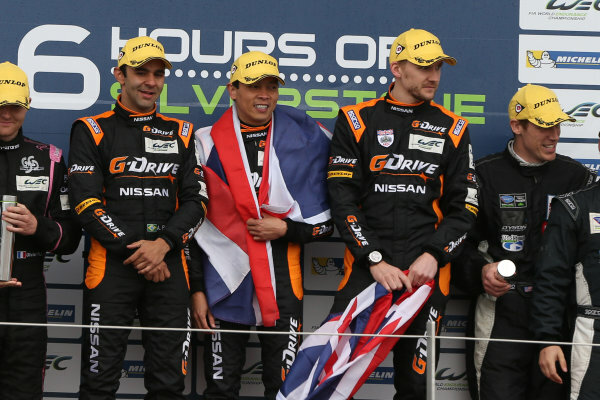 2013 FIA WEC Championship,<br /> Silverstone, Northamptonshire. 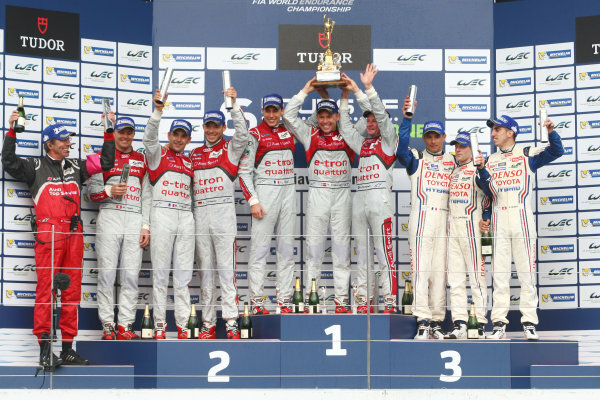 12th - 14th April 2013.<br /> Tor Graves / Antonio Pizzonia / James Walker Delta ADR Oreca 03 Nissan<br /> World Copyright: Ebrey / LAT Photographic. 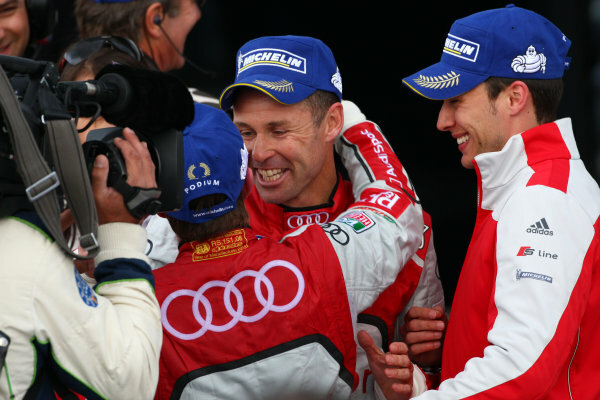 2013 FIA WEC Championship,<br /> Silverstone, Northamptonshire. 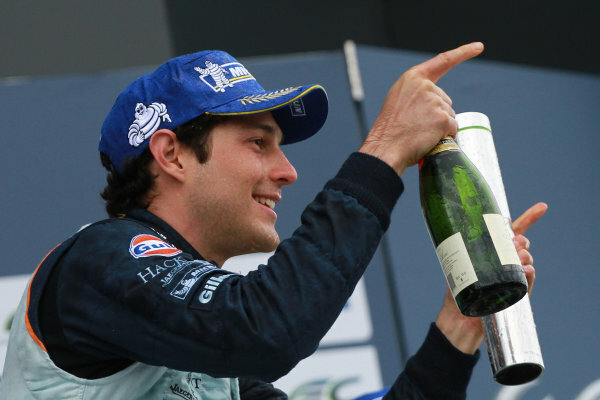 12th - 14th April 2013.<br /> Bruno Senna ()<br /> World Copyright: Ebrey / LAT Photographic. 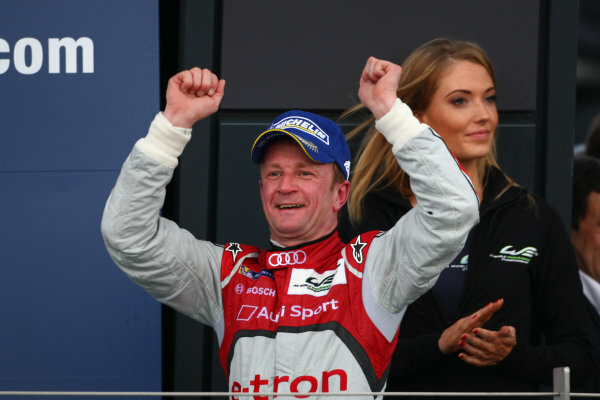 2013 FIA WEC Championship,<br /> Silverstone, Northamptonshire. 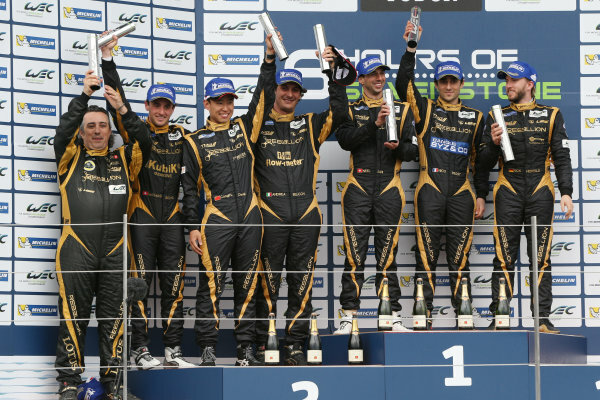 12th - 14th April 2013.<br /> Andrea Belicchi / Mathias Beche / Cong Fu Cheng Rebellion Racing Lola B12/60 Coupe Toyota<br /> World Copyright: Ebrey / LAT Photographic. 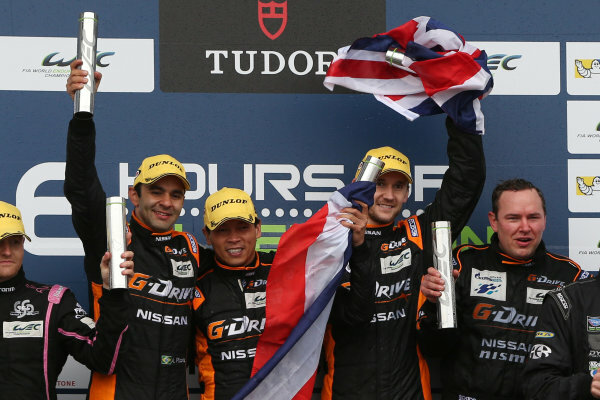 2013 FIA WEC Championship,<br /> Silverstone, Northamptonshire. 12th -3<br /> xxxxxxxxxxxxxxxxxxxxxxxx<br /> World Copyright: Ebrey / LAT Photographic. 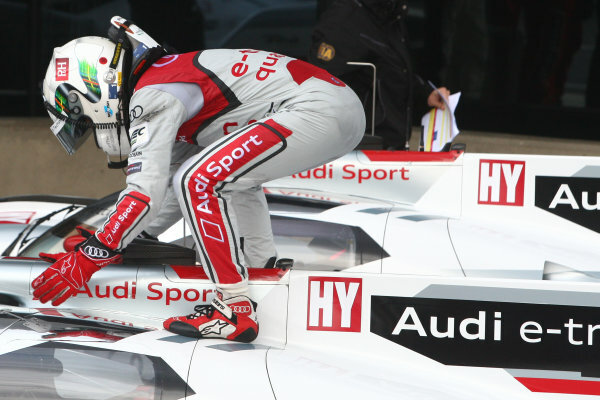 2013 FIA WEC Championship,<br /> Silverstone, Northamptonshire. 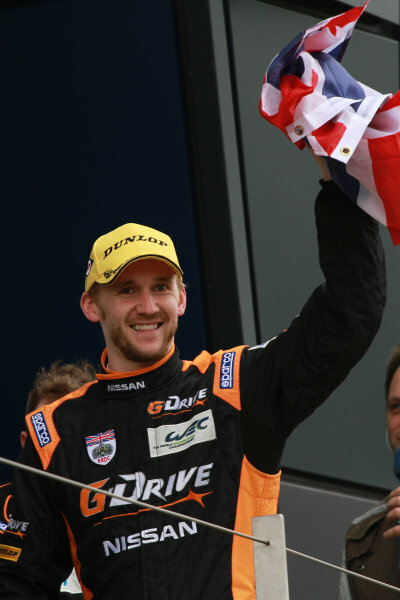 12th - 14th April 2013.<br /> James Walker ()<br /> World Copyright: Ebrey / LAT Photographic. 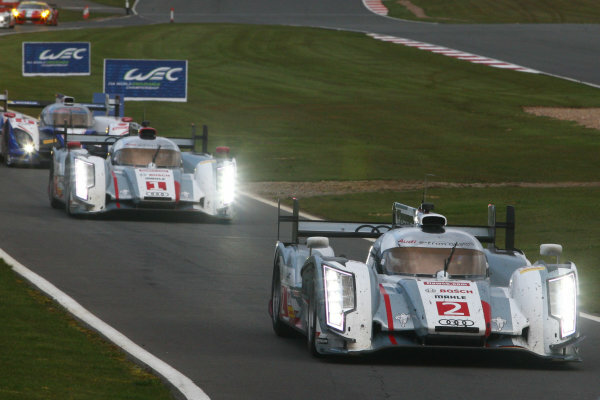 2013 FIA WEC Championship,<br /> Silverstone, Northamptonshire. 12th - 14th April 2013<br /> . 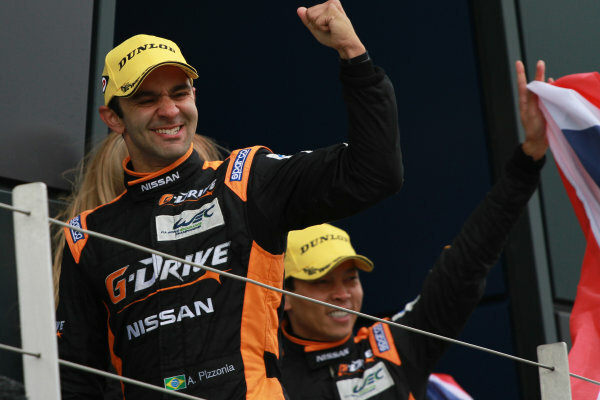 Antonio Pizzonia Delta ADR Oreca 03 Nissan<br /> World Copyright: Ebrey / LAT Photographic.